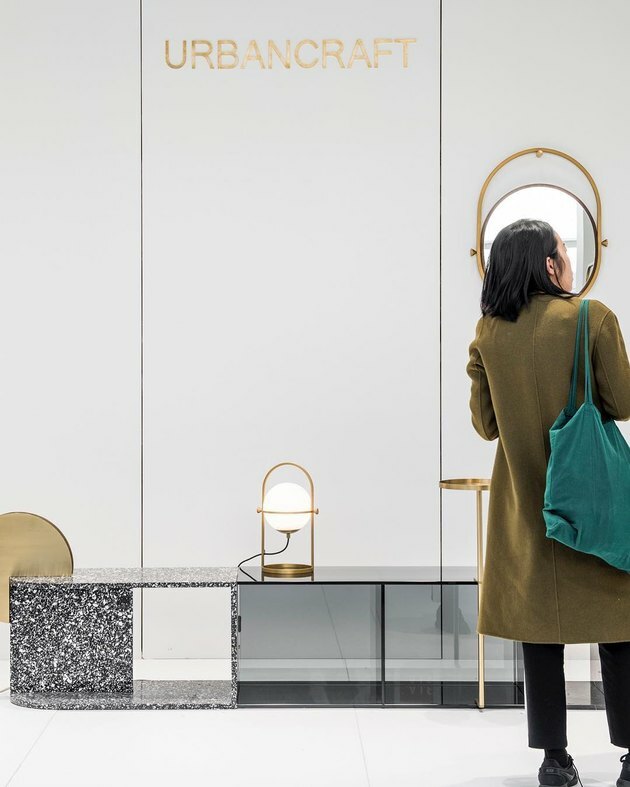 You know what they say, all good things must come to an end, and sadly Maison & Objet, the highly anticipated biannual design trade show in Paris, is no exception. While it's true, the January edition (January 18 to January 22) — which also coincidentally takes place at the same time as segments of Paris Fashion Week — has come to a close, there's no need to curl up in a corner and start sobbing uncontrollably. Save your tissues and your tears, because we've rounded up some of the hottest brands in attendance to tide you over until the September edition (September 6 to September 10) later this year. Created by Michael Thonet, this iconic brand is known for its timeless bentwood furniture. Based in the Czech Republic, each piece is handcrafted in the same workshops using the same methods since 1861. The Hudson Valley Lighting Group is made up of four different brands: Troy Lighting, Corbett Lighting, Mitzi, and Hudson Valley Lighting, of course. While each brand offers its own unique style, all push the boundaries of design without losing any signature quality. This Dutch design brand produces handmade, original pieces that are all about global living. By combining hints of the past with subtle Nordic, bohemian, or retro twists, the brand's products always offer something unique to discover. It's no surprise that this striking housewares collection is inspired by architecture. Created by world-renowned architect Zaha Hadid, each piece is a work of art that explores the beauty of scale, space, and material. Based in Portugal, Dooq is all about pursuing elegance and celebrating luxury. With a strong focus on details and materials, they strive to find the balance in contrast, resulting in distinctive pieces that blur the lines of art and design. Winner of the Designer of the Year award for January 2019, German designer Sebastian Herkner has a knack for seamlessly blending old with new. He loves traditional craftsmanship, which he weaves together with new technology and creativity to produce innovative and timeless designs. Named after the artist Fatboy Slim, this playful brand originally began with a beanbag and has since become so much more. From lamps to carpet to hammocks, Fatboy's products are designed with one thing in mind: escaping the daily routine with a big smile. Having been around for the last 80 years, this Swiss family-owned company knows a thing or two about the power of good design. The brand is guided by the belief that your environment is a collage shaped by "a mix of old and new, high and low, classic and contemporary." And it doesn't hurt that at the core of Vitra are classic twentieth century designs by the likes of Charles and Ray Eames, Verner Panton, and George Nelson, to name a few. Although this brand is relatively new, it's making a big splash. Created by Ximi Li, based in Shanghai, China, Urbancraft has a contemporary aesthetic that explores the relationship between materials and unique cultural elements. While Chabi Chic originally started with a line of dishware, it has since grown to include handmade must-haves for the entire home. Inspired by Moroccan craftsmanship, the brand strives to protect the culture by preserving their traditions and techniques. Located in the heart of the French countryside since 1860, Ligne Roset has a rich family tradition with over 150 years of experience. Known for its contemporary furniture and accessories, this luxury brand prides itself on creativity, collaborating with both established and up-and-coming designers. Inspired by Chinese modern design and international design, new exhibitor Frank Chou is striking a beautiful balance between the aesthetic differences in the East and the West. His modern furniture collection is a stunning blend of elegance and timeless sophistication that leaves a lasting impression.